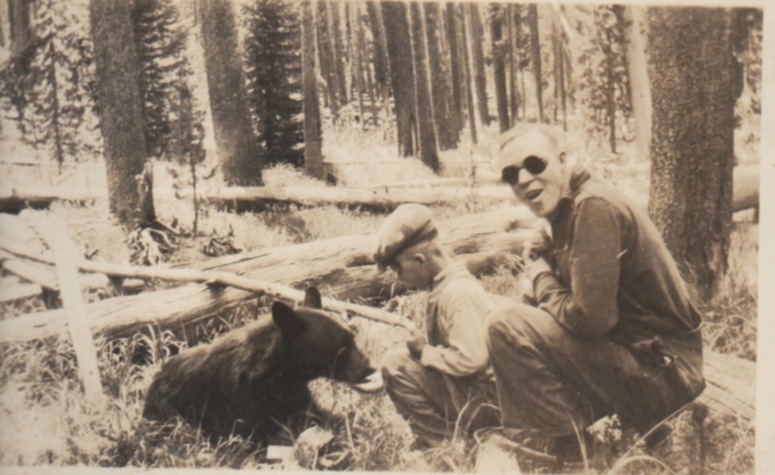 Every Wednesday I will post a photo from my treasured collection of old family albums (when I remember to do it!). As a nod to the ever-popular “Throwback Thursdays”, I have playfully dubbed this category “Way-Back Whensdays”. Ha! Get it? See what I did there? Man, I’m so clever. 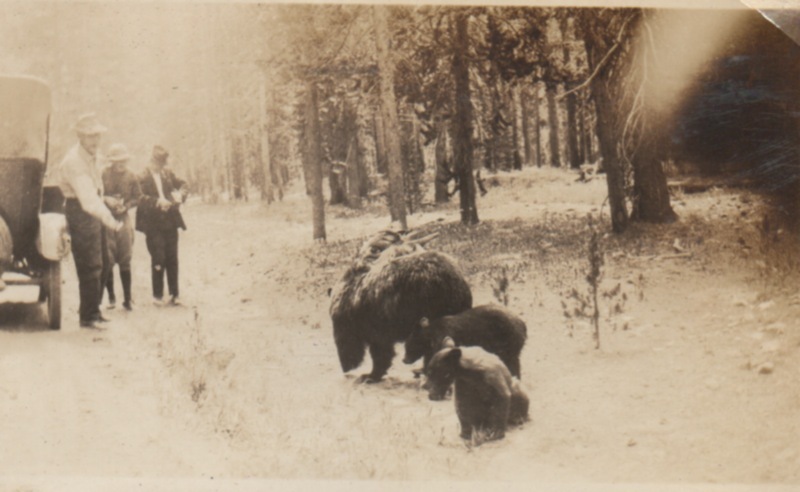 Wednesday, February 11, 2015… The only information I have on these three photos is “1924, Glen Seymour, Yellowstone”. I can only assume that he was a family friend, because I have never heard his name mentioned before. These caught my eye today because of the recent environmental tragedy that Yellowstone River has suffered. A few weeks ago in Montana, an oil pipeline burst spewing over 40,000 gallons of oil into the river, spoiling the water supply for the towns downstream and wreaking havoc on the river’s ecosystem. 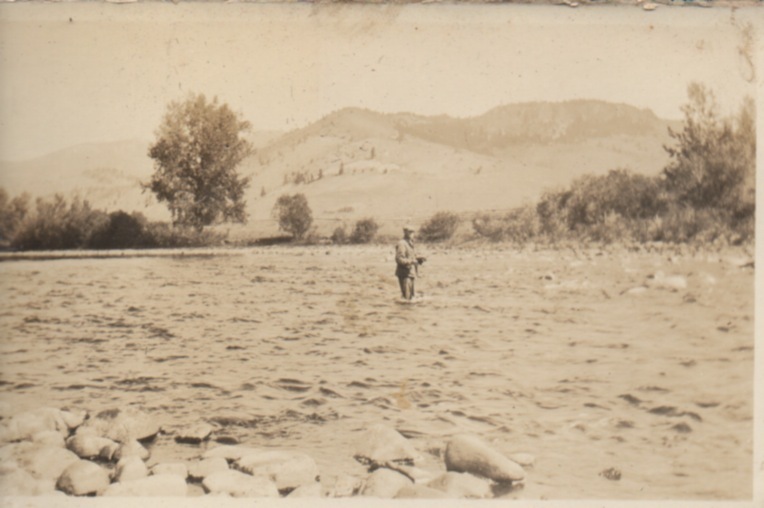 Sadly, this was not the first or even the largest oil spill for the Yellowstone River. It’s hard for me to believe that the government who once deemed these places a national treasure now has so little respect for them. How naive and innocent these people seem as they enjoy the wildness of the park. I wonder how they’d react if we traveled back in time and told them what modern corporate greed is doing to these wild spaces now. Wednesday, January 28, 2015…This is my Nana’s only sister, Edith Keim. She had quite the adventurous spirit. I remember hearing stories of their travels. One summer of their youth, they got bored, and decided to just start hitchhiking to see how far they could get. The story goes that they reached Wisconsin and decided to head home. 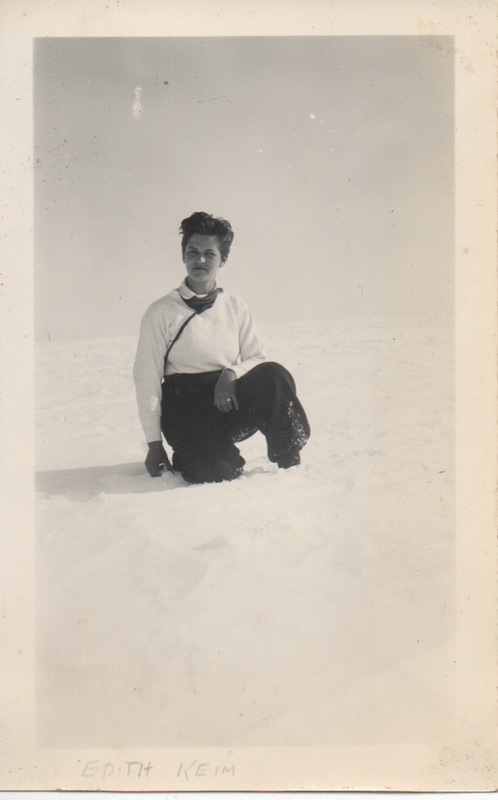 Here is Aunt Edith kneeling in the snow in Alaska, 1937. She lived in California, but visited the farm once a year when I was a kid. She smoked like a chimney (Kents, if I remember correctly) and wore fantastic pieces of silver and turquoise jewelry. Nana hated that she smoked in her house, but never protested. I asked her why once, and she said, “She’s my sister. If I have to put up with cigarette smoke to get to visit with her, then I will.” She reminds me of Amelia Earhart in this photo; a strong, determined, fearless, mold-breaking woman.